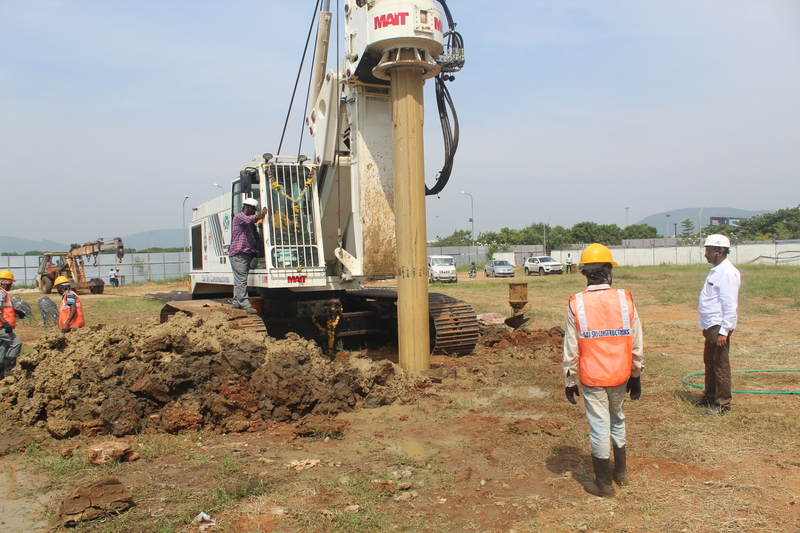 Piling works at Vizag Airport in the State of Andhra Pradesh, "Linear Expansion of Existing Integrated Terminal Building at C.E. Visakhapatnam. 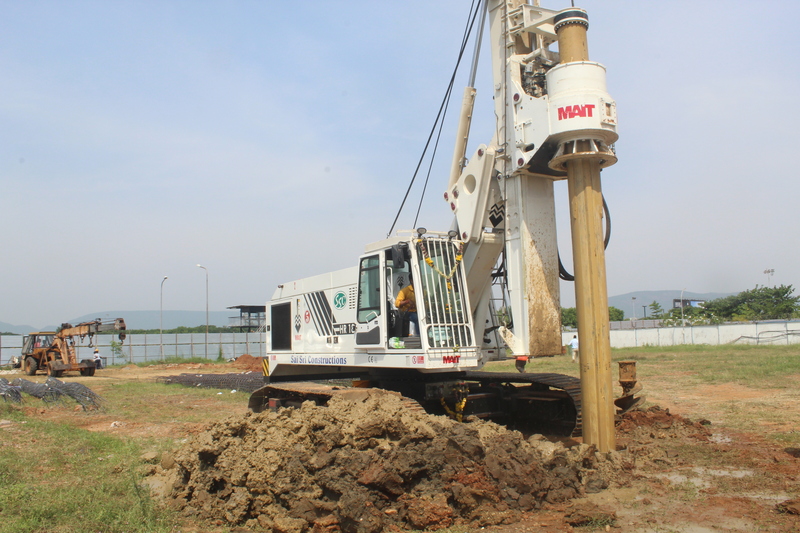 Boring through all types of SOILS for 600mm DIA piles and from rock surface minimum 1.8 mts. depth. 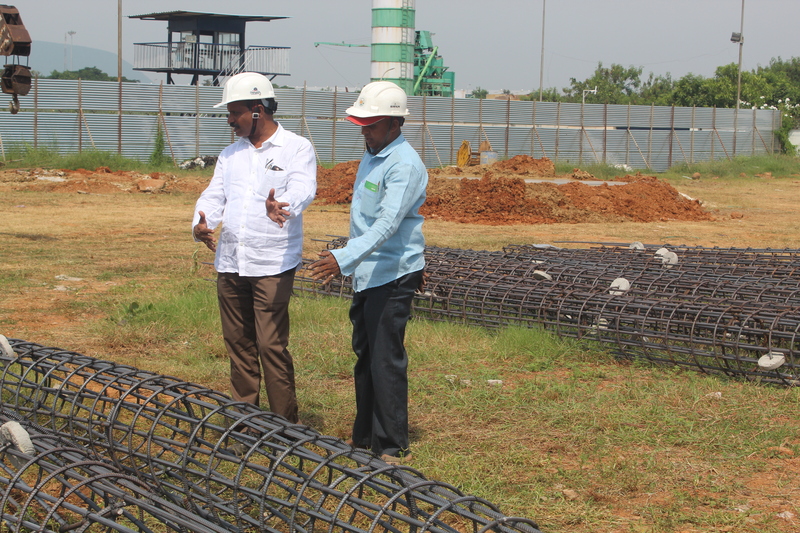 Reinforcement fabrication, Welding and Lowering. Mobilization and Demobilization of Equipment.